Our newest contributor Jordan Li discusses Dream Flight, the first Taiwanese film ever to feature the Taiwanese Air Force. Read our article to learn about why this film is so novel and intriguing. I’ve always been obsessed with airplanes. My dad served in the Taiwanese Air Force (officially called the Republic of China Air Force, or ROCAF), and his love of aviation made me want to become a pilot. From a young age, I lived out that fantasy through flight simulators and aviation movies. Then I got glasses, and all my dreams died. Now, the aptly named Dream Flight has resurrected my childhood dreams. Directed by Khan Lee (Ang Lee’s younger brother), this 2014 Taiwanese film allowed me to live vicariously through Lee Cheng-liang (played by Bryant Chang), an overly handsome ROCAF fighter pilot with an overly attractive girlfriend (played by Tiffany Hsu). Admittedly, Dream Flight’s plot feels like someone extracted it from your standard Taiwanese TV drama and stuck it into a feature film. Similar to shows like Autumn’s Concerto (which also stars Tiffany Hsu), the movie has your classic love triangle, tragic twist, and pretty boy/girl cast. This isn’t to say that the plot is terrible (it isn’t), and while melodramatic, it’s pretty heartfelt. However, personal fantasies and love triangles aside, Dream Flight is also an amazingly unique piece of Taiwanese cinematic history: it’s the first movie ever to feature the Taiwanese Air Force. Much of this is due to Taiwan’s disputed political status and history. Modern “Taiwan” as we know it started in 1949 when the Nationalists lost the Chinese Civil War and fled to the island. Though they only controlled Taiwan and a few other outlying islands, the Nationalists insisted for the next few decades that they were still rightful rulers of the Communist-controlled mainland. Thus, the only other aviation movie made in Taiwan (that I’m aware of), Heroes of the Eastern Skies (1977), actually talks about the Chinese Nationalist Air Force fighting over the mainland during World War II. Until Taiwan democratized in the early 1990s, it was impossible to talk about military and political affairs as a localized, purely “Taiwanese” affair. Dream Flight, therefore, is a reflection of Taiwan’s burgeoning sense of local identity. Given China’s economic pull (it’s a huge market for Taiwanese movies/TV) and military threat, Taiwanese cinema rarely touched military topics even after democratization. 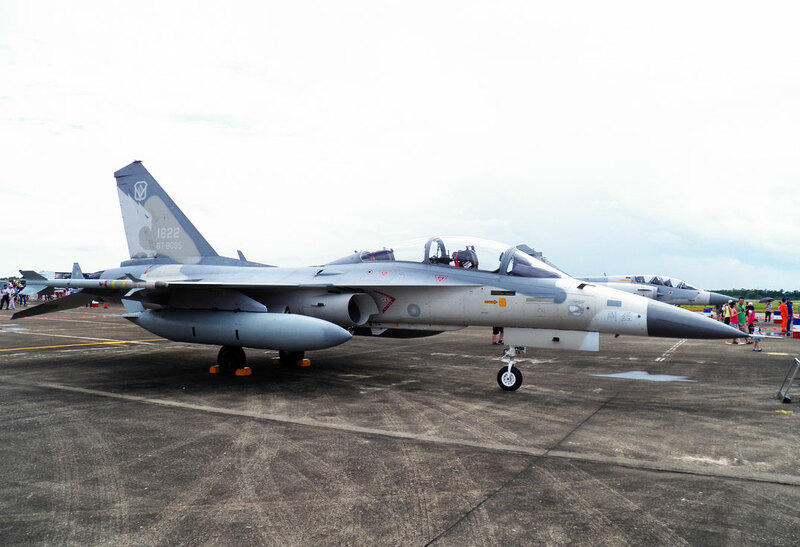 The fact that Khan Lee was able to make Dream Flight shows how, now, Taiwan is finally able to talk pridefully and openly about its military in a local context. Dream Flight also brings a high degree of authenticity to the table. Its deception of fighter pilot training is a real treat that sets a new standard in cinema. No other aviation movie takes the viewer from square one to combat squadron like Dream Flight. Lee and the film’s other pilots start from the piston-powered Beechcraft primary trainer, advance to the AIDC AT-3 jet trainer (also made in/by Taiwan), and finally transition to the Ching Kuo (F-CK Yeah!). 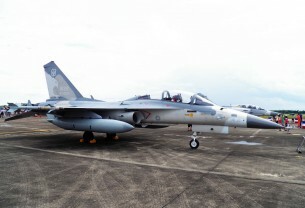 Parts of the movie were also filmed at Tainan Air Force Base, home of three active-duty F-CK squadrons. Beyond military matters, Dream Flight also provides a faithful depiction of civilian life in Taiwan. Like many others on the island, its characters ride mopeds and commuter trains rather than flashy luxury cars; they choose to spend their Friday at the night market rather than at frat parties. Overall, it’s a decent window onto Taiwanese culture for those who’ve never experienced it. In the realm of foreign military aviation films, Dream Flight retains its novel status. Compared to genre staples like France’s Les Chevaliers du ciel and South Korea’s R2B: Return to Base, Dream Flight is the clear winner. Though Les Chevaliers du ciel features incredible cinematography, its plot has the depth of a Michael Bay movie. R2B, on the other hand, has become a laughingstock within aviation circles thanks to outrageous errors in both aircraft weapon sounds (powerful rotary cannons sounding like handheld M-16 rifles) and how the fighters themselves behave (think Colonial Vipers vs. Cylon Raiders a la Battlestar Galactica). Dream Flight is an exceptional and authentic film, and it’s exceptional precisely because it’s authentic. It’s the very first Taiwanese aviation movie that’s about the Taiwanese Air Force and that’s set in Taiwanese context. A solid movie with great insights, it creates a new threshold in the nation’s cinema. In a way, the movie’s a lot like the F-CK-1 it features. It might not be well-known, but give it a chance to kick in its afterburners and it’ll take you on a historic, supersonic ride through virgin blue skies. Dream Flight (Chinese: 想飛）— Taiwan. Directed by Khan Lee. First released October 2014. Running time 2hr 27min. Starring Bryant Chang, Tiffany Hsu, and Mason Lee. It was massively cheesy. Like wtf are they actually going to have some love story on an Air Force Base? It’s like a drama, not a airplane/military movie. Can’t believe the Taiwan air force was involved if they are. maybe movie’s objective is to build more friendly image of air force to do the recruiting?